Mark Herman went from directing movies in the 90s that no one ever heard of, to writing/directing a star-studded rom/com in Hope Springs, to adapting a mesmerizing drama for the screen in The Boy in the Striped Pajamas. Then he simply stopped. From unknown to embarrassing to award-winning to just done; I guess it's smart to go out on top, especially when your previous project was an utter disaster and you don't want to risk that again. Because that's what this movie is, a complete disasterpiece, and I don't mean in the same way as Dante's Peak. I don't know what Herman was thinking when he read this novel, turned it into a film, and cast these actors, but he could not possibly have been in his right mind, since this is a feature not even a mother could love, a dirty smudge on the landscape of cinema that ought simply to be wiped off. Colin is a sad Englishman far from home by choice, looking for an escape from a broken heart and a failed relationship. The girl who broke his spirit, Vera, also broke off their engagement, and is already engaged to another man. The wedding invitation is what sent Colin over the edge, and across the pond, as he travels to the States in order to leave the past behind. Or, perhaps, just to wallow in his own self pity, but that's understandable. Looking at a map, he picks a town called Hope as his destination, a lovely little town in New England that he imagines will serve as a springboard for a new life, or at least a temporary escape from his problems. But, of course, his issues reside in his own head, and no quaint village is going to quiet down the racing doubt and utter despair that follow him on vacation. First step; find a hotel room, and there's one that features an owner who also happens to own an odd face, so that's where Colin heads. He's an artist, usually portraits, and he has a mind to draw the people of this lovely town, perhaps create an exhibit of his work to showcase his medium and his melancholy. And since he's so depressed, the hotel owner's wife calls up her friend Mandy, who is a caregiver, to come over and talk to Colin, see if she can help him with his problems. Mandy is a hands-on type of woman, always positive and always lively, the exact opposite of Colin at the moment. However, they say opposites attract, and the pair begin to fall for each other at once. But Vera won't let her ex get away that easy, she wants him for herself, and she's traveled many a mile to bring him back home, no matter which blond American wants to keep him for her own. I don't often call a film a smudge, but I'm not sure what other term I can use to describe such an ugly outing, something that sullies the movie-going experience just by existing. Hope Springs is a feature to steal the hope from your heart, to make you unsure about turning on the television ever again, it's that bad. Pedantic, pathetic, problematic, and just plain poor; this film is an embarrassment to a genre that is already pretty awful. 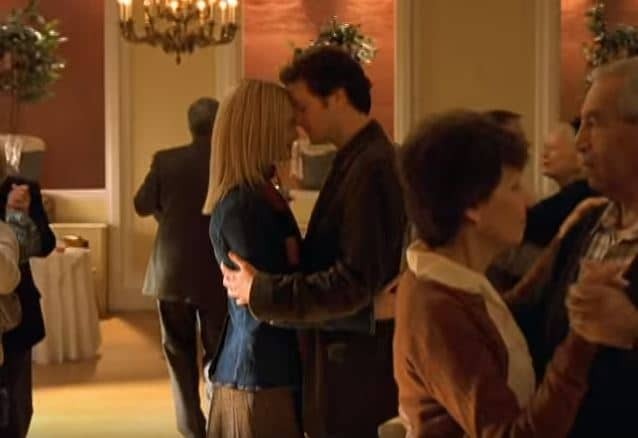 This style isn't utterly impossible, there are a few good rom/coms, but Hope Springs isn't one of them, it's instead the exact example of what not to do. Don't make your characters despicable, don't forget to bring something original to the table, and for god's sake, don't ever cast Heather Graham in a starring role; you'll live to regret it. Graham is one of the worst actors I've ever seen on screen, at least when she's called upon to star; it's just something she's not capable of doing. I'm not talking about Rollergirl, she can be quaint when she wants to be, but her role here even tries to produce something lovable and dim like that and can't, because she doesn't have enough ability to pull it off again. I consider myself an expert on Graham, mainly because I've watched the entirety of Gray Matters and survived, which is no small feat. I hate to pick on her too much, but I don't even care that she gets semi-naked in this film; nothing is worth her performance. Incidentally, Minnie Driver also takes her clothes off, which is a perk, but she's also a great actress, even if she isn't called upon to do any real acting in this movie. 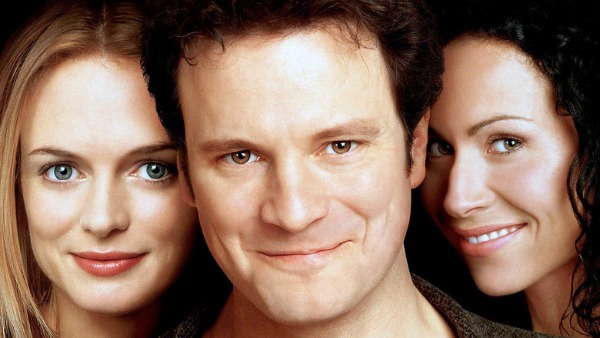 Even Colin Firth gets in on the skin, but I doubt anyone is rushing to the theatre for that, and his character is so sniveling and sad that you can't possible enjoy his talent, even if you know it's there somewhere. All three fail to make the story captivating, but in their defense, there's not much to work with; this is perhaps the worst script ever written and a terrible idea from start to finish. Video: With an aspect ratio of 2.35:1 (1920x1080p), the video quality of the Blu-ray is fine for the film's original year and for the transfer, but far from anything you'd want to write home about. The clarity and the picture are OK, there's nothing glaringly wrong, it's just not special, and the cinematography is questionable at best. The scenes feel more like skits than actual planned out cinematic sequences, which is not what you want. Audio: The disc was done in English with an option of English subtitles. That's it, that's all she wrote, and I doubt we'd want to hear this dialogue in any other language. The conversations were so terrible they made you feel as if you should have been hired to write the lines instead; you couldn't have done a worse job. Extras: The only special features on this Blu-ray are a Making Of featurette (7 minutes of behind-the-scenes footage) and a group of trailers (6 in total). Skip It. Hope Springs can at least go down as an example of what not to do, and I guess that's helpful for educational reasons, if not enjoyable for any other. Whatever can go wrong did go wrong, which isn't exactly the theory, but close enough; I think we've established a new law of science, wherein creating something that's the opposite of chemistry results in a very bad smell. The acting, the story, the writing, the music, the setting, the general assumption that audiences are as dumb as they look; there isn't anything to hang your hat on if you're anyone in charge of this film, it was an all-around disappointment. The video and audio are only OK, there aren't many extras, so don't look to the technical aspects to save you, you won't get any help there. The only thing to do is to stay far, far away, in another galaxy would be fine, as long as you don't subject yourself to this film.